The most special day deserves only the best. At The Grand Oak Villa, we provide a gorgeous indoor and outdoor setting, flavorful cuisine and attention to every detail in between. Your wedding is one of the most special days of your life, and we make sure to treat each and every wedding with the care it deserves. 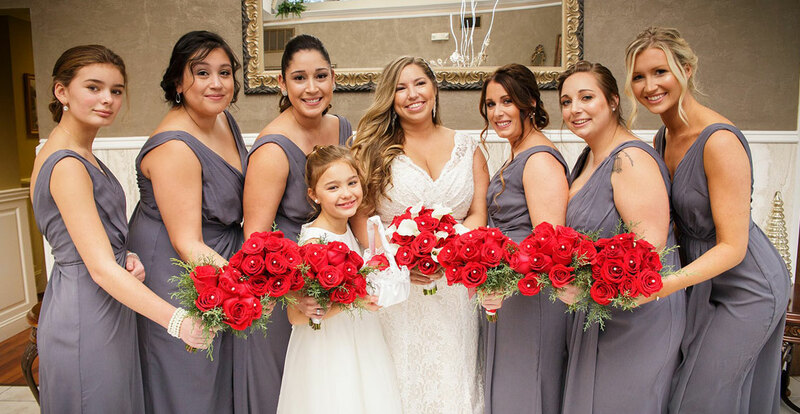 We believe that every guest who celebrates on our grounds is family, so our expert planners will help you arrange rentals, vendors, entertainment, décor and more with absolute dedication. A cascading waterfall outside and a glimmering chandelier inside—these simply stunning touches, and more like them, make The Grand Oak Villa one of the most beautiful settings for your wedding day. 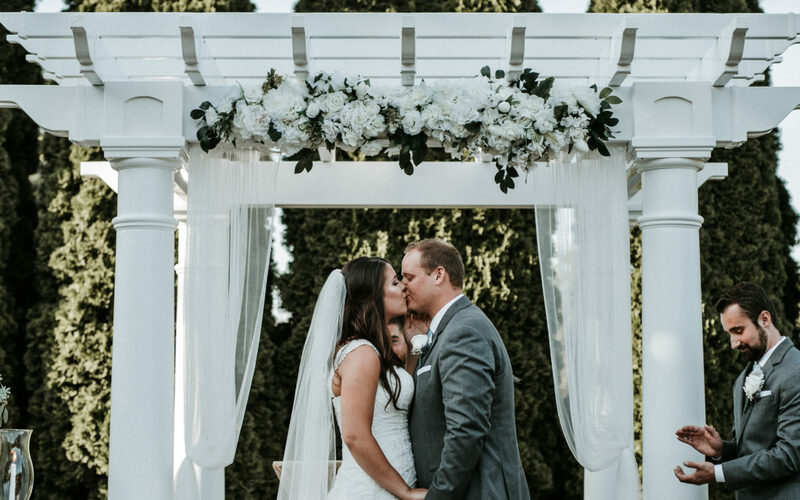 Our grounds are perfect for picturesque outdoor ceremonies and feature many spots, like our gazebo and bridge, to capture romantic moments. Whether you choose to celebrate indoors or outdoors, we attend to each detail, providing planning help, décor services, vendor recommendations, flavorful catering and everything else you need. Trickling waterfalls, bright green foliage, blooming flowers and stunning landscaping cover the property. There are plenty of beautiful places to take photos and excellent settings to make memories. Say "I do" in the beautiful outdoors and enjoy the breathtaking natural scenery on our grounds. Add your personal touches to the ballroom to truly make the space special. The entire property has places perfect for capturing the love on your wedding day, like this elegant bridge. 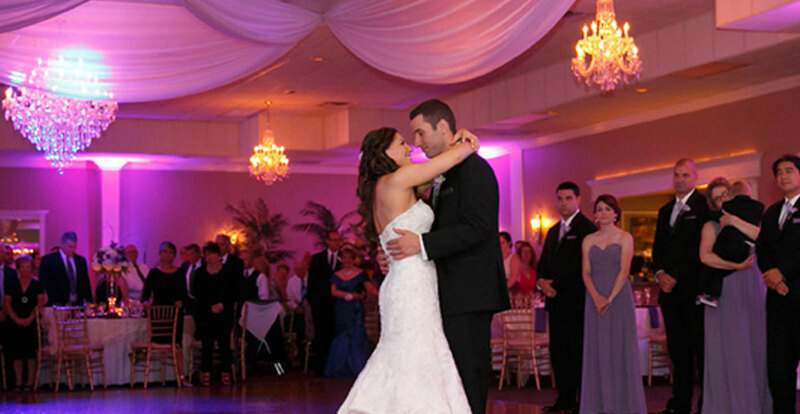 Enjoy your first dance as husband and wife in the ballroom. Have your guests enjoy cocktails on the grounds. Enjoy at intimate dinner at your reception with a sweetheart table. 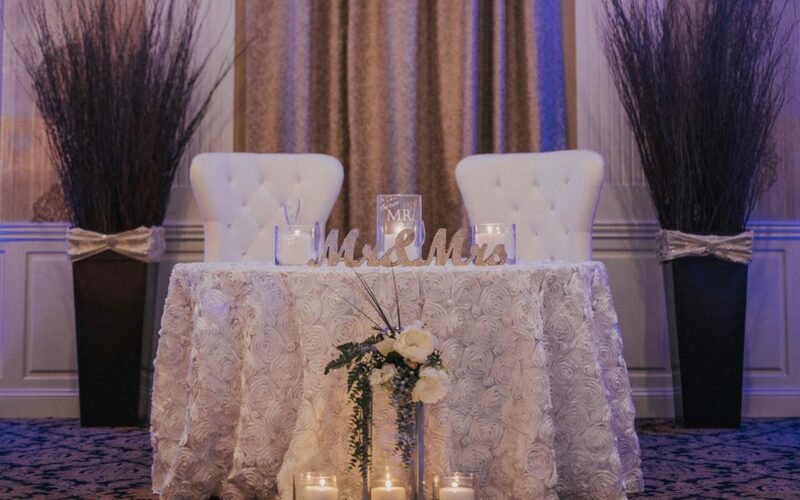 Bring your wedding vision to life with décor and furniture rentals. We want to make sure that you and your guests have everything you need to create breathtaking memories. We also want to give you peace of mind on your special day, so we provide each of the items and services below to every wedding. We can’t wait to create the wedding of your dreams.